If you’re not with us then you are against us, and, therefore, you must be liquidated – that was the motto Yugoslav communist Partisans lived by during and after WWII. 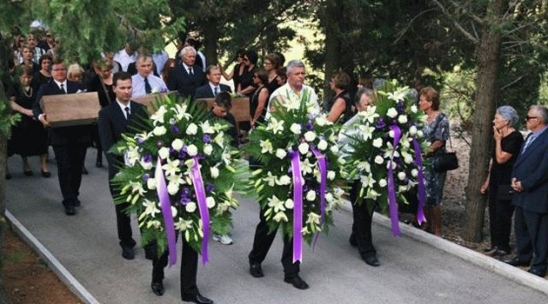 “I did not even dare write about all the horrendous torment victims of Partisans on Korcula endured – Partisans in the village of Zrnovo were particularly cruel,” reports the Croatian Cultural Council (Hrvatsko Kulturno Vijece) portal as Franko Burmas having said. 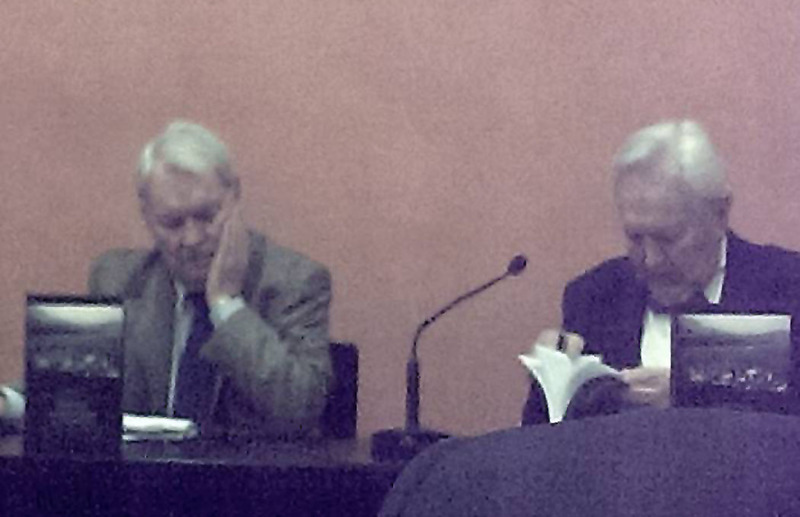 The launching in Zagreb on Friday 29 January 2016 of Franko Burmas’ new book “Victims of communism on Korcula – searching for truth“, published by the Croatian Victimology Society and Biblioteca Documenta Croatica, brought back with live disquiet the horror stories I remember hearing throughout my childhood. The imagery of merciless brutality created by those stories in which hundreds upon hundreds of individuals from the relatively sparsely populated island who did not subscribe to Josip Broz Tito’s communist plans perished – murdered or thrown into pits alive – hit me with deep distress. Narod.hr reports that Zvonimir Separovic, president of Croatian Victimology Society, Rade Kastorpil, president of Croatian matica in Blato/Korcula and the author himself, Franko Burmas, spoke extensively about the book, which serves as a testament of evidence of the brutality of Communist crimes on the Island of Korcula. It was just as well that an entertainment segment was included with this launch – thus making the revelation of this ugly truth of WWII and Post-WWII Island of Korcula bearable. The doyenne of the Croatian National Opera, Dubravka Separovic Musovic, accompanied by Eva Kirchmayer-Bilic on the piano offered a most welcome moment at this launch of evidence of crimes no person should ever be faced with, let alone endure. But sadly, the world still lags far behind in condemning communist crimes than where it is and has been for decades with view to the crimes of the Holocaust. It is books like this one written by Franko Burmas that hold a candle for a brighter future where all crimes regardless of which political persuasion they hide behind are equally condemned and equally smothered with outrage and unforgiving wrath. 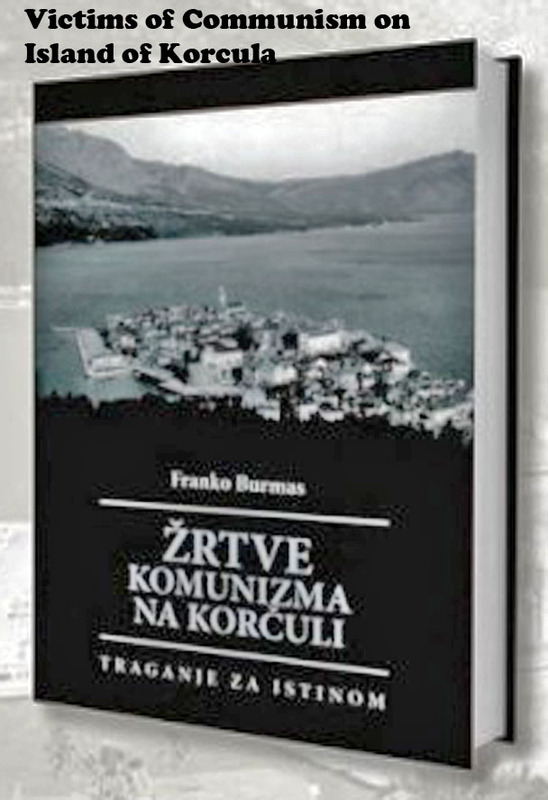 ” Victims of communism on Korcula – searching for truth” by Franko Burmas is a witness to communist Partisan crimes committed during and after WWII on the Island of Korcula. 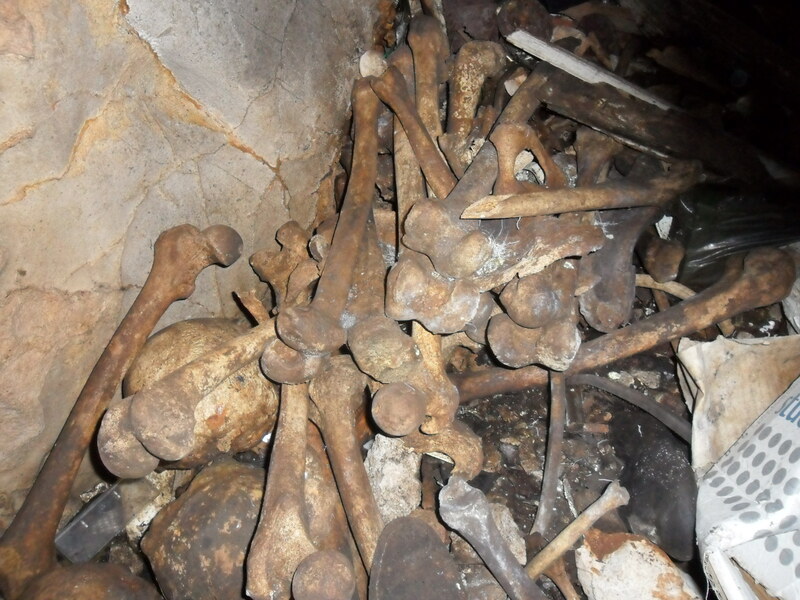 Numerous pits in the ground and locations where executions of innocent people occurred – e.g. Vranina, Sibal’s feet, Paklenica, Butina, St Luke’s cemetery in Town of Korcula, St Cross cemetery in Blato on Korcula … all give witness to the “hatred and killing, trampling upon freedom, to the terrifying and unbelievable crimes, to the times when people did not know what awaits them tomorrow, where they are going, what to do,” says Franko Oreb in his Foreword to the book. Franko Oreb says further in his Foreword that the truth of which this book speaks is horrific and painful and that it constitutes evidence of the terrible crimes committed by the communist regime in which people were swiftly punished, imprisoned, abused and murdered guided only by their suspicions, without bothering to provide for court trials or proof of guilt. It happened often that their death was not revealed and so even the official government office “Register of Deaths” did not include their names. Oreb says that the book reveals a perfidious and a repressive face of government authorities connected to well-organised network of political and Party structures with the goal of keeping that regime alive and their status within it. The regime of those times successfully hid its crimes for a very long time causing a public veil of silence to cover them so that much dust and forgetting fell over the victims. 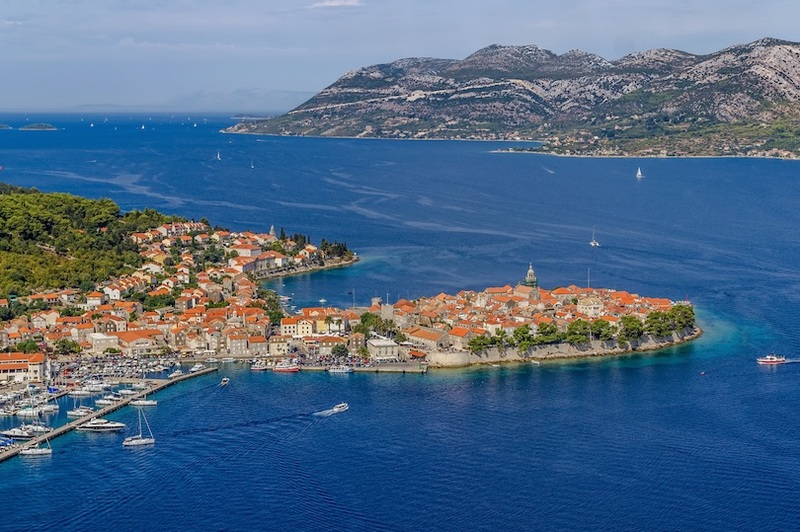 The book itself is also a kind of Korcula’s martyrdom record in which the names of the victims of WWII and Post-WWII period Korcula are written and recorded. 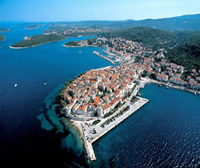 It’s a record of 85 grim and ghastly murders, some persons among them were from Dubrovnik brought to Korcula by Partisans as prisoners and liquidated there. Franko Burmas is a university trained and graduated lawyer with many years of experience and collection of data, including interviews with some people directly associated with the events, which have formed the foundations and factual body of his book. There were priests and intellectuals among the mass murder victims against whom the communist regime operators directed terrible lies and defamation saying they were enemies of the nation. And yet, all they did in life was dedicate their lives to the service of their people, to defending the faith, morality and the national sanctities. A list of more than several hundred of liquidated victims, thrown into pits, needs to be added to the ones named in the book as communist left no trace of names or the number of people they threw into pits such as Butina. That is how the communists of Yugoslavia kept people in fear and that means obedience and submission. I press like to show I have read; but in truth, as always, there is heartbreak and change needed in this world. ; and it can’t come soon enough. An interesting perspective on a place I visited in 2009 and found only peace and wonderful hospitality! Victims of communism on Korcula: If you’re not with us you’re against us and therefore you must be liquidated. Nothing has changed since the, really. Instead of dumping you into a pit the yugo-communists and Saint Sava followers/Chetniks crucify you via the media. My grandmother remembered this night for the rest of her life, when, under the cloak of darkness, partisans took friends and neighbours away. It was very evident which way the New Yugoslavia was going. So many similar events, equally terrible, equally despicable crimes – your reply Marina translated: Well yes, with them or against the. Without trial they killed soldiers and civilians, members of all ethnic groups of the former state, intellectuals, distinguished persons and all that were “unsuitable” due to religious or national orientation. “after the Yugoslav forces entered Dubrovnik in October 1944, slaughter was implemented immediately on the small island of Daksa, among which victims there was not a single member of army filings (as German and Independent Croatia forces NDH left the city without a fight) but there is at least 7 Catholic priests from Dubrovnik”. And my comment to your reply: there were Croatian Home Guard/Domobrani in the execution cells in Dubrovnik at that time who were captured by Partisans in forests etc and taken to Dubrovnik for executions that went on for months almost daily – I know that for certain! And to think that even today there are still ‘croatians’ who would rather be under the red star and still have the picture of Tito on their walls. The shame! The shame – indeed, Anna! If you ever have a moment (I know you’re a very busy lady), I recommend Island of the World novel by Michael D. O’Brien. It’s sad, but nice read. Names matter- names of victims, names of perpetrators, monuments and memories. They make abstract statistics into personal stories, so make them more real. How wonderful when you can name the people. Yes the pain does get deeper the nearer the victims, Clare. Well done. Dolaziš li u Domovinu ove godine? Translation comment by Zvonimir Separovic:Thank you dear Ina. Well done. Are you coming to the Homeland this year. Nice regards. I HATE HEARING ABOUT SUCH THINGS. 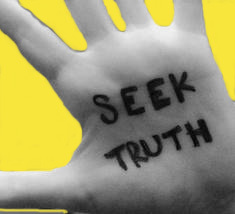 BUT WHAT’S DONE IN SECRET–AS THE BIBLE SAYS–NEEDS TO BE EXPOSED. I AM GLAD FOLKS ARE GIVEN THE OPPORTUNITY TO MOURN THIS GREAT LOSS AND SEE THIS GREAT EVIL DONE TO THEIR RELATIVES AND FELLOW COUNTRYMEN AND WOMEN! SUCH EVIL BROUGHT TO LIGHT IS A GOOD THING—AND ALLOWING FOLKS TO EXPRESS THEIR LOSS AND MAYBE HEAL! What noble, fearless people’s champions – these Partisans were! How fortunate our Croatian nation is that it’s people were rescued and liberated by such an honorable and distinguished military! It is self-evident that it took a special type of person to wear that red star embellished uniform, wield a weapon and battle against your own people and country. If this doesn’t wrench your guts and make you even more determined that LUSTRATION is desperately needed than I point to the over 1200 mass graves that dot the Croatian/Slovenian/Bosnian landscapes where you will find more evidence of the merciful Partisans. Chilling use of “sarcasm”, Velebit, but Partisans deserve it – many of them that is who were butchers to the dark core.